Immediately on my return from Cedar Rapids, I reloaded my duffel with clean clothes and headed off for week of work near Mordor on the Potomac. 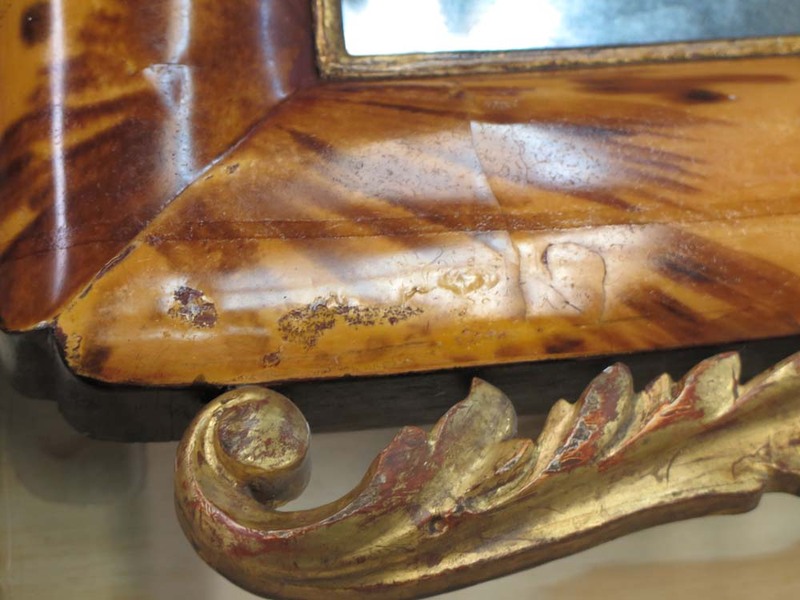 The purpose of the trip was completing the conservation of the second of the two tortoiseshell-veneer mirror frames. 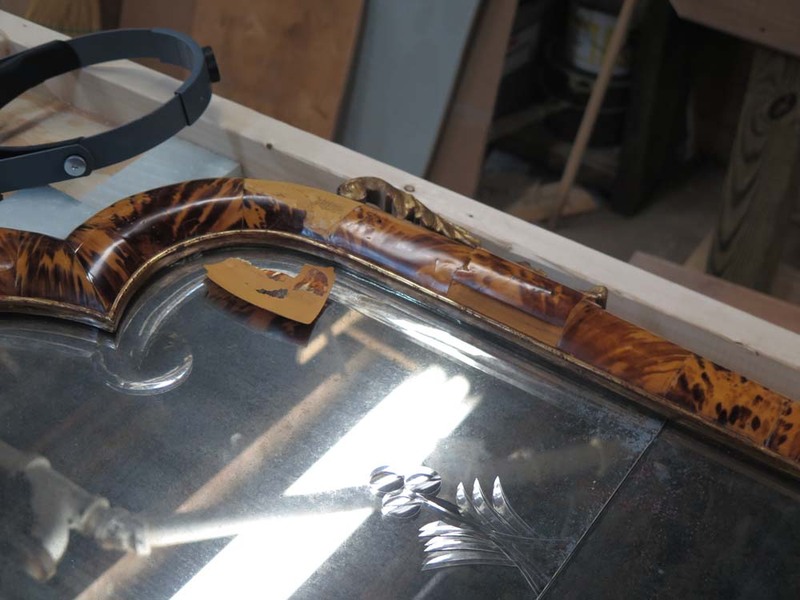 The process for conserving the second frame was conceptually similar to that employed for the first one a couple of months ago. 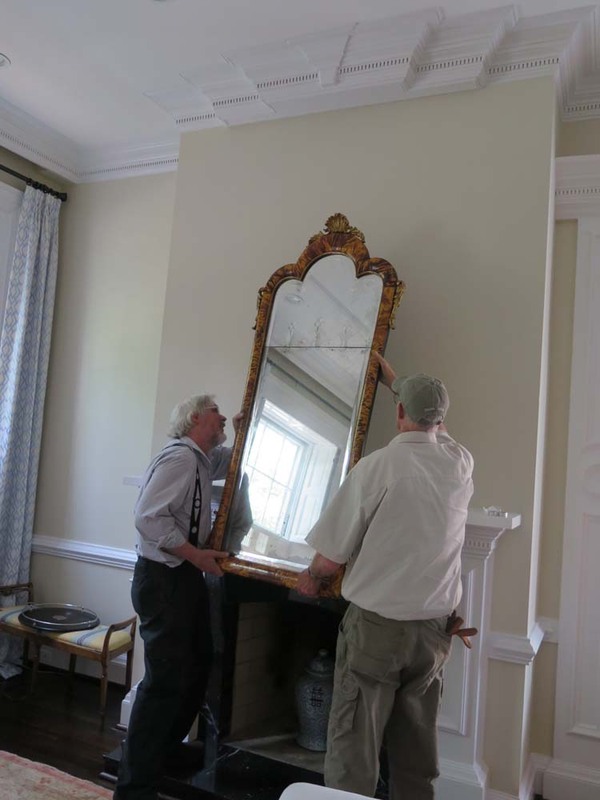 The only substantive difference was that the areas of damage this time were larger but fewer and “cleaner”than for the first mirror. As before, once the mirror was in the work space the first task was to systematically work my way around it to document the specific areas of interest (read: damage) for the treatment. 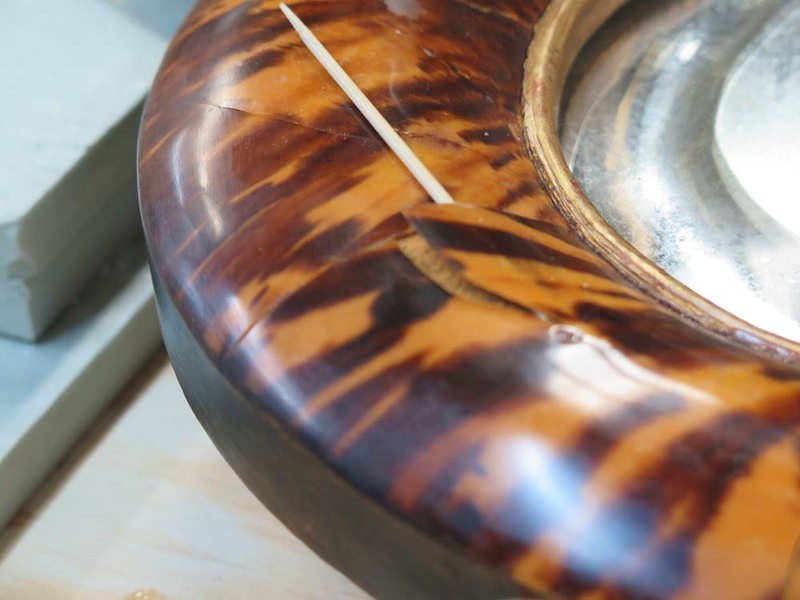 Once that was completed I proceeded to clean the surface in order to remove the accretions of oil, a traditional but ineffective, somewhat deleterious maintenance protocol and get it all ready for the next step. 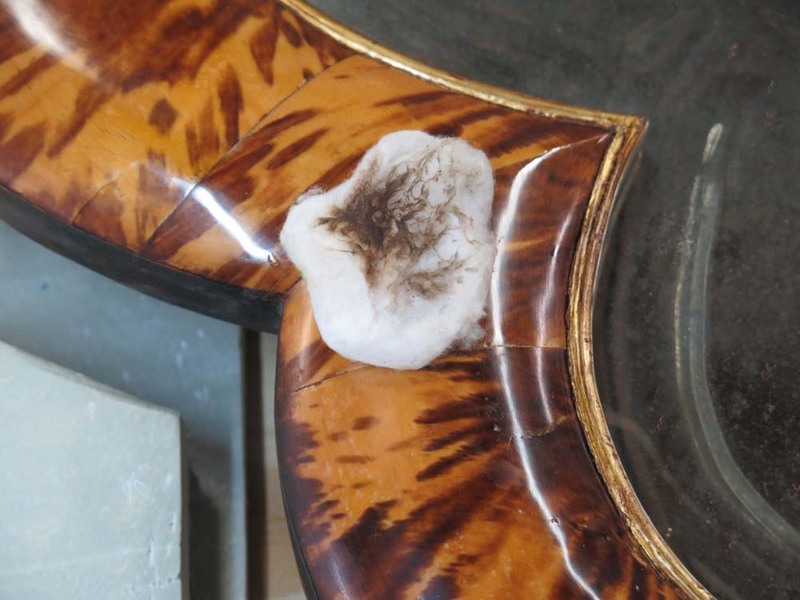 These depositions were dealt with easily through the damp wiping with naphtha on cosmetics pads from the pharmacy, almost instantly removing the molasses-like oil and dirt amalgam. 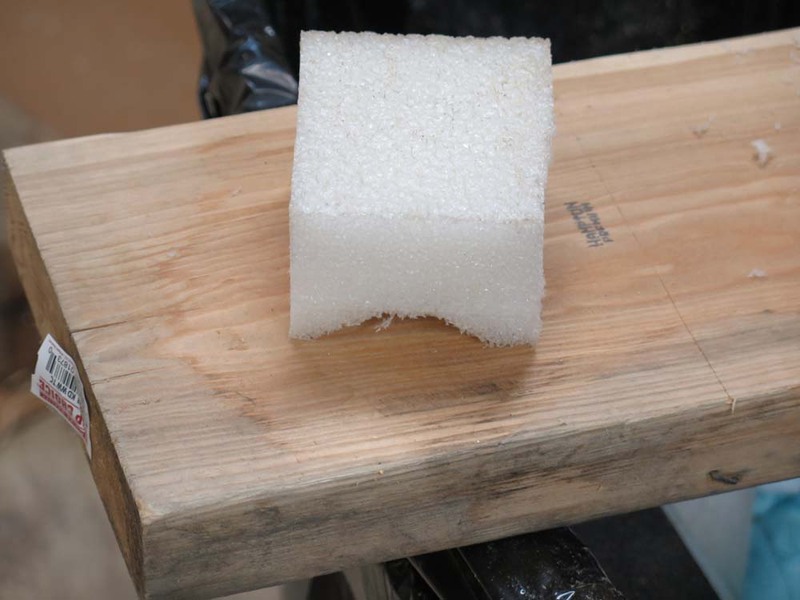 The incursion of oil underneath the lifted tortoiseshell veneers was resolved through gentle insertion of a toothpick or bamboo skewer to lift the affected area, then the insertion of blue shop paper towels and wicking them with naphtha, sometimes several times, to remove enough of the contaminating oil to render the glue margins acceptably clean. 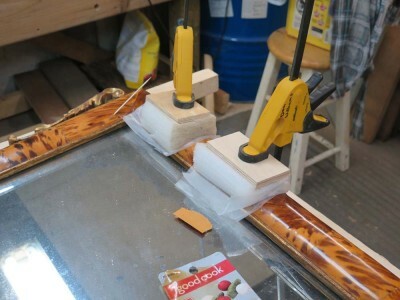 The lifted tortoiseshell was re-adhered to the frame substrate with 192 Special grade of hot animal hide glue from Milligan & Higgins, and pressed into proper configuration during gluing through the application of shaped polyethylene foam block cauls, with two pieces of food vacuum-pack wrapping membrane in between the tortoiseshell and the foam caul. 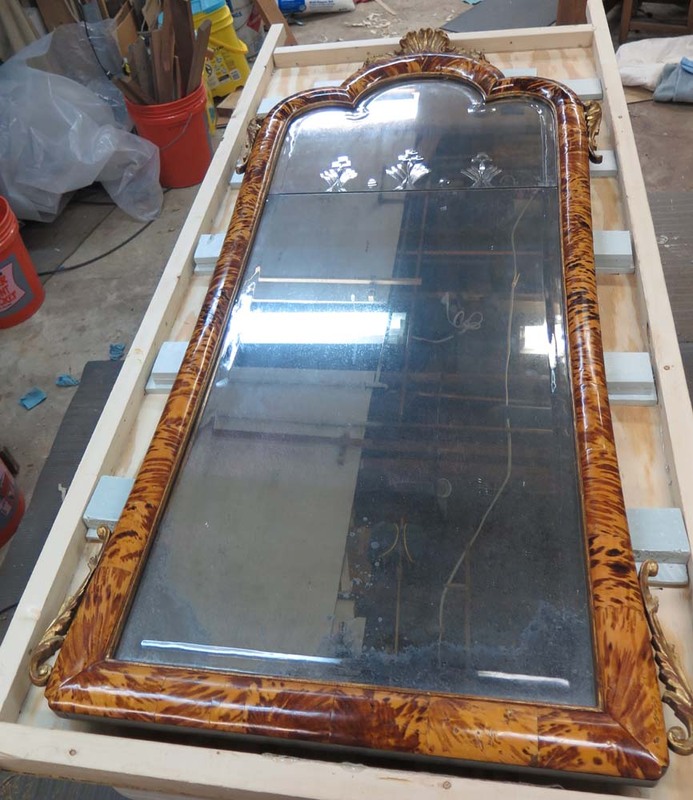 Once the glue was hard, I removed the cauls and separating membranes, cleaned off any wandering glue with distilled water on pads, then applied Mel’s Wax to the entire surface, which brought the mirror frame to life! 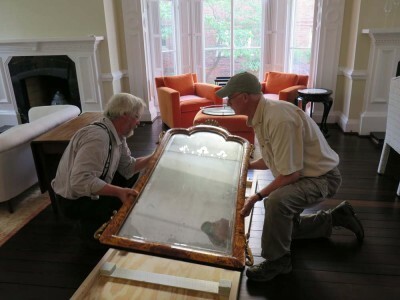 In a way, the most challenging part of the project was the transport of 300-year-old mirrors the few miles from the client’s home to my work space safely, and the handling of them at each end. To accomplish this I fabricated a custom tray/litter with XPS bumpers and supports below and above the engraved and mirrored glass, with the whole unit being suspended in air through the gentle application of winching straps. 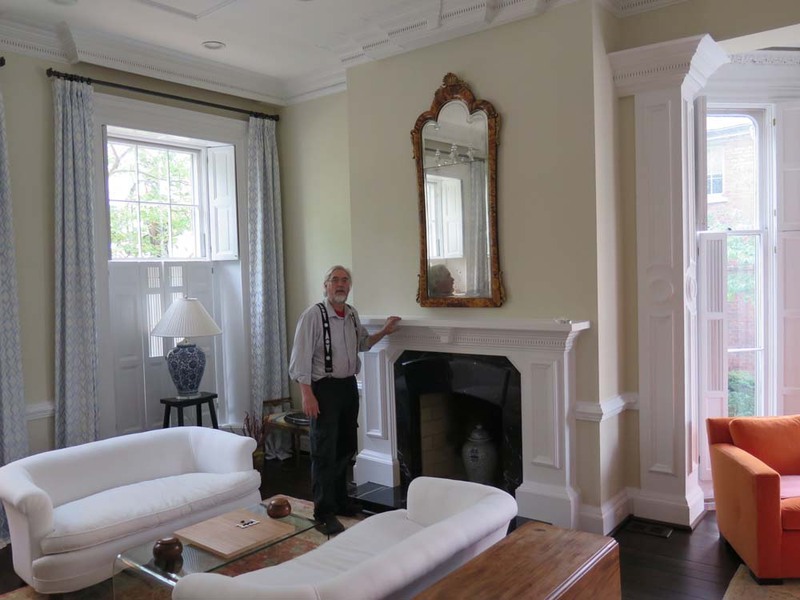 Safely completed and transported and re-hung in the client’s magnificent home, I joined the client in celebrating the project and the beauty reclaimed for the mirrors, and was delighted to be photographed alongside the second one.